Aidan O'Brien considering dual Classic winner back in trip for clash with Roaring Lion, Cracksman and Crystal Ocean. Aidan O’Brien is considering dropping Capri down in distance for the QIPCO Champion Stakes at Ascot on Saturday. Last year’s Irish Derby and St Leger winner has had a truncated campaign but showed he was coming back to form when fifth behind Enable in the Prix de l’Arc de Triomphe. O’Brien has yet to finalise his team for QIPCO British Champions Day. Among those he will make a late decision about is Kew Gardens, winner of this year’s William Hill St Leger, who is a possible for the QIPCO British Champions Long Distance Cup. “I’m not sure if Kew Gardens will go,” he said. “You are never sure if he will get two miles. 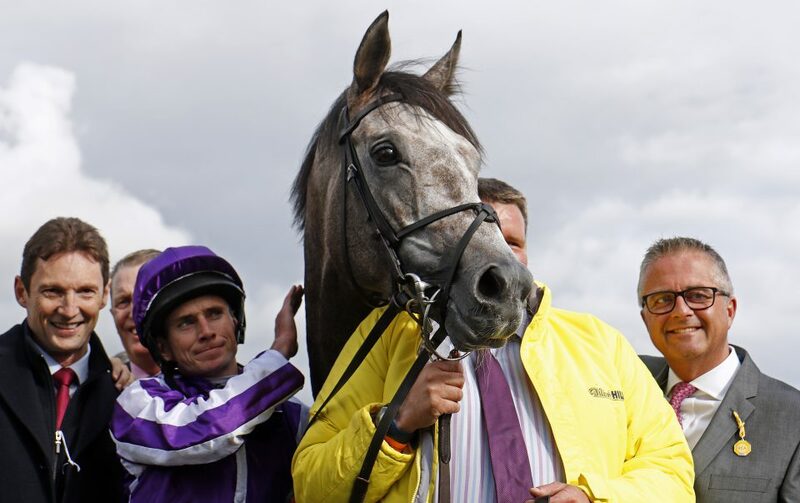 “He won the St Leger, so there is every chance, but he has had a long season, so we will see. It will all depend on how he is during the week. “We will see how Capri is, as he might go for the Champion and Flag Of Honour might be supplemented for the Long Distance race.